Atelierworkshop was founded in 2001 by Cecile Bonnifait and William Giesen based on a duality of thought and language as a working process. 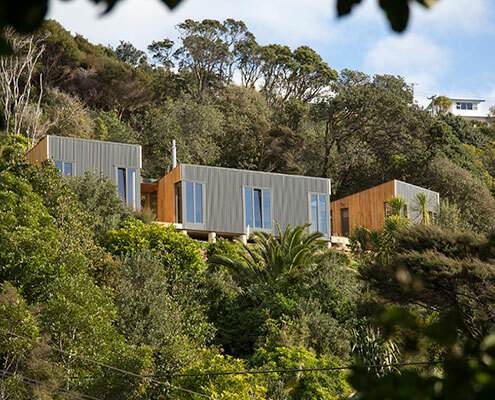 Both trained architects, they each have different and diverse architectural experience in various parts of the world that combine professional work and research. Their approach is orientated towards reconnecting people with a physical reality, a territory, its history and a cultural context. "Our architecture seeks to reveal the landscape and the environment through innovation and common sense. Our projects are developed from a concern for forming one body with the site. Without compromising on design, we put priority on finding sustainable solutions." 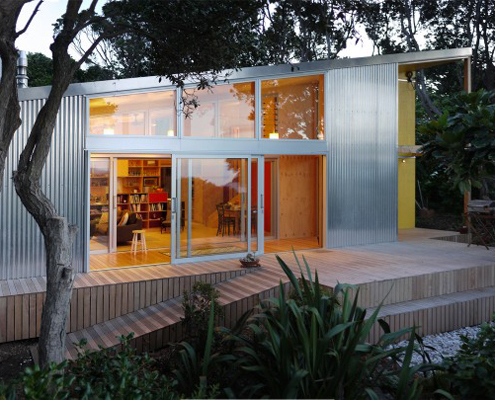 Port-a-Bach by AtelierWorkshop Port-a-Bach: A Portable Teeny Tiny Shipping Container Home This 'Bach' - a New Zealand term for a small holiday shack - is built inside a shipping container. 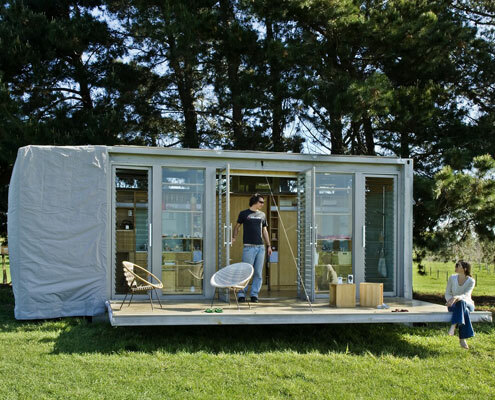 It's a self-contained, portable, and fun retreat for a family of four. 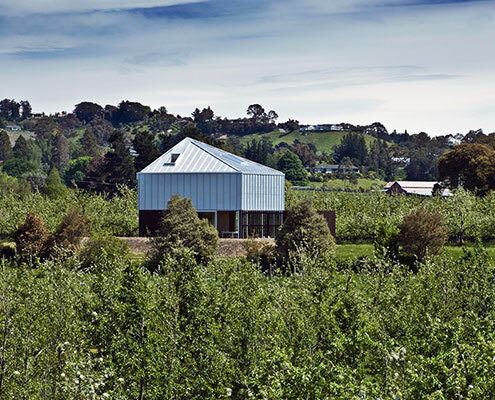 McKenzie House by AtelierWorkshop Serene McKenzie House is Nestled in the Middle of an Apple Orchard McKenzie House uses the same 4x3 metre grid of the surrounding Apple Orchard to ensure it feels harmonious and connected to its surrounds.